Intel's Core i5 vs. i7: Which Processor is Better For You? Home » Intel Core i5 vs i7 For Gaming – Which Is Better? Intel Core i5 vs i7 For Gaming – Which Is Better? The Intel Core series is the finest Intel can offer when talking about processors. Time and time again however, we’ve all heard the never-ending dilemma in processor choice for gaming rigs: the mid-range Intel Core i5 or the illustrious Intel Core i7? From a processor’s chipset to its number of cores, the i5s and i7s have their respective pros and cons. Today, we’re going to break down what makes your ideal processor of choice. Furthermore, we will be discussing the inherent advantages to using one processor over another depending on your budget, purpose of use, and gaming platform. What makes a great processor? Through modern technological advancements, processors have reached an all-time peak in performance given reasonable price ranges. Obviously, you can simply point out that the Intel Core i7 line is better than the i5s (despite being pricier). However, it goes deeper than that. Say, one can even opt for the higher-end Intel Core i5 and still get more-than-remarkable frame rates in-game. It all depends on what you can afford and the performance you want to achieve with your rig. The Intel Core i5s and i7s offer a minimum of two cores and can go up to ten cores on the higher-end of the spectrum. The processor cores are in charge of running a computer’s tasks, which means improved performance output with more cores involved. However, the majority of applications and games tend to basically utilize dual-core and quad-core processors. If you’re planning to stick to document and office work, a dual-core processor would suffice. In contrast, unless you’re going to do high-intensive video and photo editing, it’s efficient to stick to quad-core processors. To sum it up, hyper-threading improves the performance of the processor cores through subdividing tasks to improve efficiency. Peculiarly, the Intel Core i5 series does not make use of hyper-threading technology compared to the Intel Core i7 series. In terms of performance, the vast majority of gaming titles make little to no use of hyper-threading. If you’re simply aiming to play all day long, then a high-end Intel Core i5 would suffice for your setup. Although future titles might start to make use of hyper-threading, it will be long before that becomes into reality. 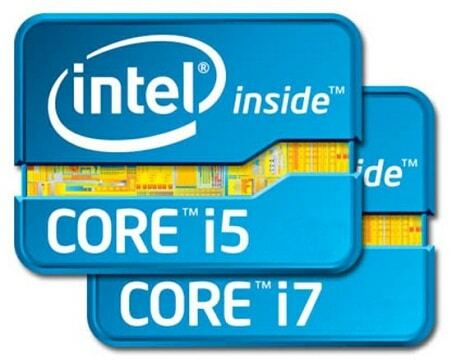 In this regard, the Intel Core i5s reign supreme in terms of price to performance for gaming. With turbo boosting, Intel Core i5 and i7 processors are able to reach higher clock speeds to accomplish resource-intensive tasks. However, the extent to which a processor is able to raise its clock speed is entirely dependent on the situation. That said, turbo boost remains largely utilized when processor temperatures remain under allowable levels. In these ideal scenarios, turbo boosting proves its worth when working with processor intensive processes such as image rendering and video encoding. When it comes to gaming however, limited titles benefit from the effects of turbo boosting (such as GTA, Call of Duty, and Hitman). A processor’s cache size is primarily responsible for how fast a system can switch to and from processes. Naturally, increased cache sizes mean faster system response times. It is worth nothing that amongst the Intel Core i5 and i7 processors, differences in cache size tend to minimally affect game frame rates. As platforms go, the Intel Core i5s and i7s have a mobile series of processors for use in laptops. As such, the mobile edition of the Intel Core series is largely inferior to its desktop counterparts performance-wise. In terms of pricing, the laptop edition of the processors tends to be pricier than the desktop processors as well. Despite all of these discrepancies, a laptop is an invaluable workstation of choice for those with an on-the-go lifestyle. The key benefit that the mobile series brings is the laptop’s portability, compared to the bulkiness of a desktop rig. It is worthy to note however, that the aforementioned features in a processor (number of cores to processor cache) still hold true in mobile processors. It is up to your discretion whether you want to invest on the freedom of movement a laptop provides compared to the raw firepower a desktop readily brings to the table. Now, you know the fundamentals to choosing a processor based on its hardware specifications. Once you’ve listed down your budget and considered what you intend to do with your gaming rig, you can then start to decide which series line and model you want to go with. If you’ve looked up Intel’s processors, you have probably seen the naming schemes that come with the respective models. Intel Core i7-8650U, Intel Core i7-7700K, Intel Core i5-6600T – what do all these mean? To give a rough guide to how processors are named, the first digit written after the brand (i3, i5, i7) is the Generation of the processor. Typically, the three digits listed thereafter is the defining characteristic that states the processing speed of the CPU. Rule of thumb: the larger the three digits listed, the faster the processor. While, the later the generation, the better the processor (compared to previous generations). The last letter is the product line suffix that describes the performance output of the processor model. The product line suffix varies from Unlocked (K), Ultra-low power (U), M (Mobile), etc. Example: The Intel Core i7-8650U is part of the 8th Generation of Intel Core processors with the product line suffix U (Ultra-low power). Conversely, the Intel Core i5-8600K is part of the 8th Generation of Intel Core processors with the product line suffix K (Unlocked). In terms of performance therefore, the Intel Core i5-8600K outshines the Intel Core i7-8650U. However, the Intel Core i7-8650U is more energy-efficient than the Intel Core i5-8600K. We’ll give you a head start and show you entry-level, mid-range, and high-end processor models from the Intel Core i5s and i7s. The Intel Core i5-8400 is definitely nothing to scoff at despite being less costly than its fellow processors. The Intel Core i5-8400 can do everything an entry-level user would want and run intensive applications, as well. The Intel Core i5-8600K stands out for its market price, performance, and efficiency all in all as a processor. If you’re looking for a processing unit capable of running resource-intensive games (given a sufficient video card) and creative editing work, the Intel Core i5-8600K is your go-to choice. Finally, the Intel Core i7-8700K is the pinnacle processor for your workstation needs. Having the capability to handle the highest-tier of gaming experiences and the heaviest of workloads, the Intel Core i7-8700K is truly an asset to professionals in the field. Digging deeper, the Intel Core i5s and i7s offer a wide-ranging selection of models with varying price points. All in all, the Intel Core i5 is geared towards intermediate users who are looking for performance and affordability. On the further end of the spectrum, the high-end Intel Core i5 processors offer superb performance suited for gaming. Conversely, the Intel Core i7s offer unparalleled performance to those looking for workstation-level hardware for professional use. Therefore, the Intel Core i7s should be solely picked up when looking to do intensive editing work on your rig. A word of advice: invest the savings you would have from purchasing a high-end Intel Core i5 (compared to an Intel Core i7) on a higher-end graphics card. Core i5 Processors now support Hyperthreading (8th Gen).